Ketek is on the Move! 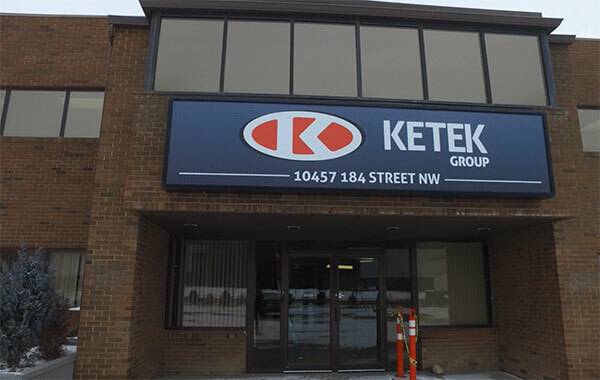 Ketek has purchased a 27,000-square-foot office building on two acres of land on 184th Street NW in Edmonton and has begun the process of moving about 80 office staff to it. This is an exciting development in the company’s history and one that will allow us to continue on a path of growth and development. We’ve simply outgrown our current space and, while we have long-term plans to build an office building at our location in the Winterburn Business Park, that’s a little while off (because the land is not serviced with water and sewer lines) and we need room for expansion now. The new building, previously the home of steel fabricator Supreme Group, is considerably larger than our current location, with office space for about 110 people. There is lots of paved parking, it has water and sewer services, street lights, sidewalks and even a bus stop right in front of it! It’s also close to the amenities along Stony Plain Road. The current building in Winterburn will undergo some major renovations of its own. Employee facilities like the lunch room, training spaces, locker room and parts room will get upgrades. Come visit us at the new office!